Bob Baffert expects the real Coliseum to show up tomorrow in the Grade II San Vicente Stakes for three-year-olds at seven furlongs after disappointing as the 3-10 choice in the Grade III Sham Stakes at one mile on Jan. 5, finishing sixth by 4 ¼ lengths. “He got off slow and got behind horses,” Baffert said of the Sham. “We tried rating him, and we're still trying to learn about the horse. Going long first time, you sort of have to be in the race. He got behind and wasn't enjoying it. “His psyche was off and he didn't know what was going on. He didn't get beat that far but it wasn't a real strong race, either. He's come back and I'm trying some different things. Mike (Smith) has worked him a couple times but he's still not breaking that well. 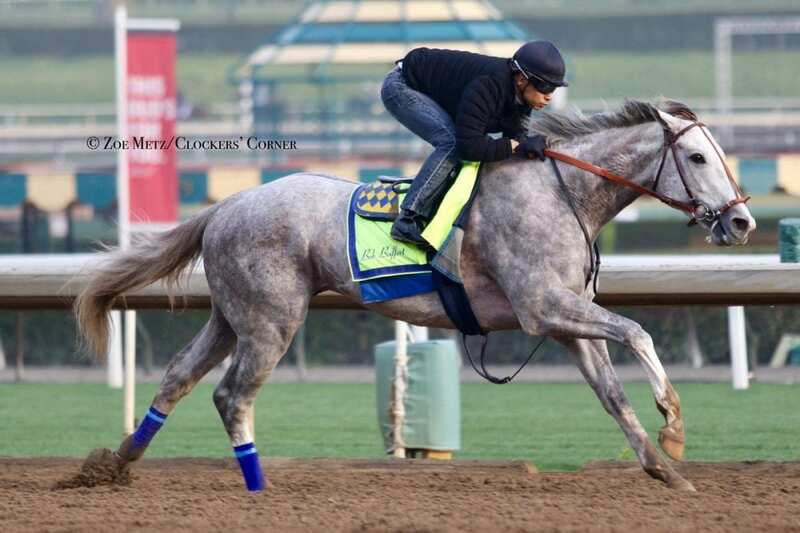 This entry was posted in NL Article, Triple Crown and tagged Bob Baffert, coliseum, dessman, Godolphin, road to the kentucky derby, san vicente stakes, sham stakes, tapit, Triple Crown by Ed Golden/Santa Anita. Bookmark the permalink.